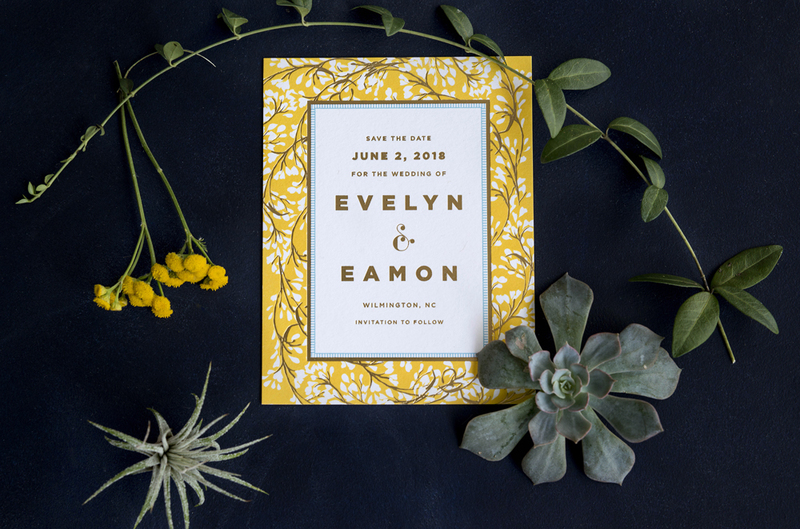 The Vine wedding invitation suite is modern and sweet, with bold pops of color (we love it in blue and yellow, with gold vines!). Check out our instagram for variations on this design! Make it yours: Vine looks great in a variety of color schemes (we loved one in greens and blush pink! ), and though we show it here with gold foil vines, it looks great with matte gold vines as well. For a softer look, change the bold sans serif font to something more feminine.